Since I started teaching, I have always looked for the most efficient way to do things without compromising the learning of students. I have taught many programs, and I never do exactly what the manual says. I put my own twist on things while maintaining high expectations for my students. When I was introduced to the Daily 5 this year, I embraced it I loved the idea of having the consistency with centers everyday. And like everything, I have found a really good way to implement it. I realize that different things work for different teachers, so take what you want from this. 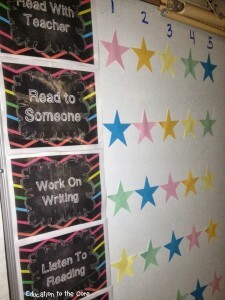 And be sure to comment with any suggestions or ways you do Daily 5 in your classroom! I have created a visual chart that shows my kids where they go. And I have them free in my store. So click the link or the picture if you would like to download my Daily 5/CAFE Posters! I just put them in colored groups. I use the colors of the rainbow in order so I know exactly which level of group I am with. I use pink, orange, yellow, green, and blue. Blue is my highest and pink is my lowest. I do this so I can remember my groups and I can easily plan activities and choose material for them. I would also like to add a little something about how I manage the Daily 5 each day. Below you see the pink buckets. They hold the Daily 5 Folders. The captains get them each day and bring them back so I am able to hold students accountable for their work. It is really nice to be able to just go into them for routine checks. I am not the craziest grader, but I do expect things to get done and done correctly. On the bottom row, I have the differentiated readers by level. 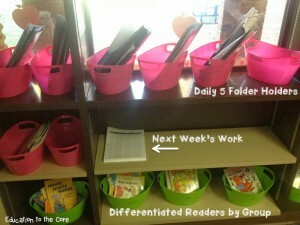 This way, I can quickly make sure my groups are reading appropriate material for their reading level. 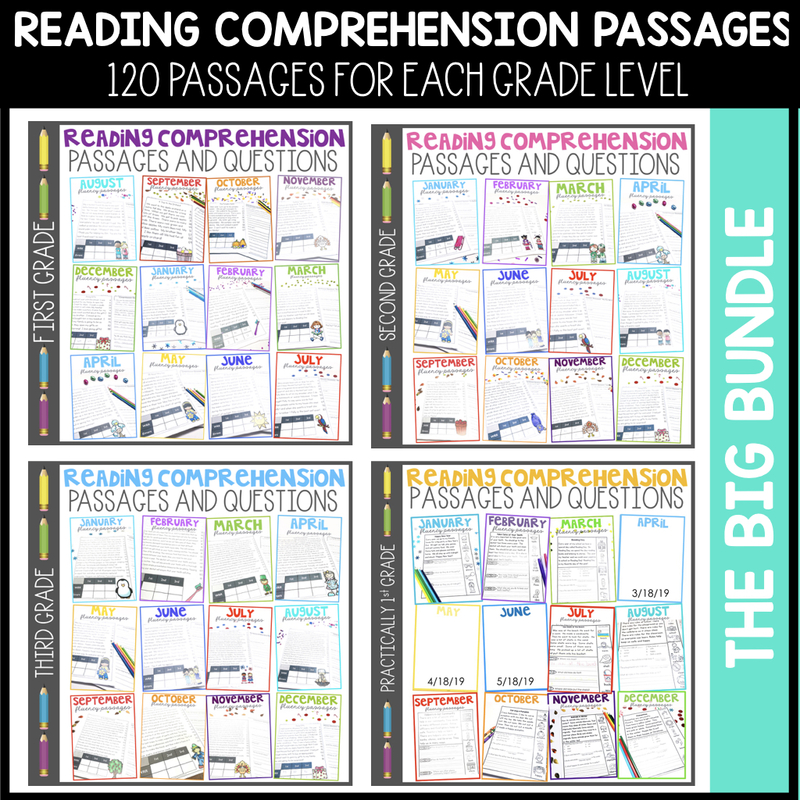 I switch these out often, and it gets pretty easy because I can mix the books across the groups as they become better readers. This center is with me and they are back at my table. If you noticed, I pull the pink group first in rotation one because they are my lowest. That way, I can guarantee them time with me everyday. 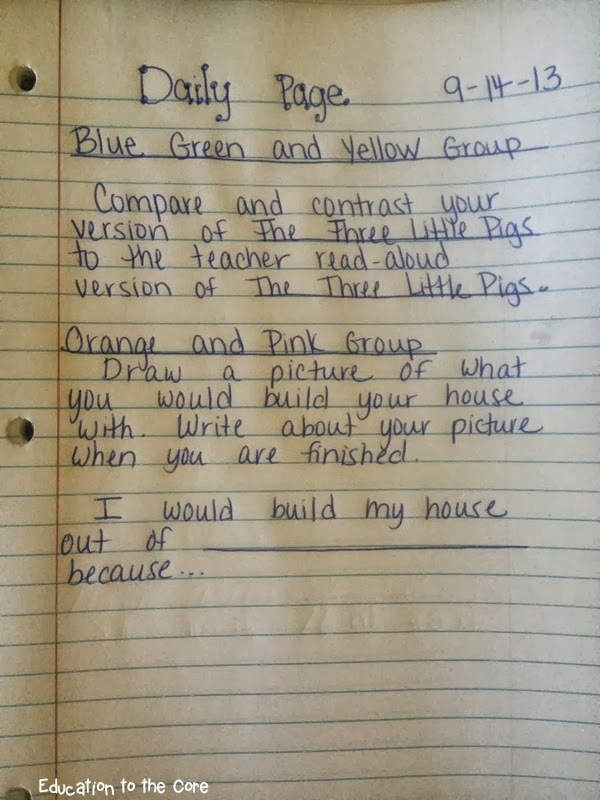 I do not put more than three kids in my pink group. This is my most intensive group, and they need the most time with me. That way, they have a greater chance of filling those gaps in reading. The second rotation is the orange, third yellow, and so on. This helps me because I help the ones with the greatest need first. I get to all my groups everyday, but this gives me piece of mind if something comes up like a fire drill, assembly, etc. When I have a group, we do a DIBELS intervention for two minutes everyday. It is timed, and we do a round robin procedure where we all point and take turns. I record their time for the skill for that day, so the next time, we can try to beat it. 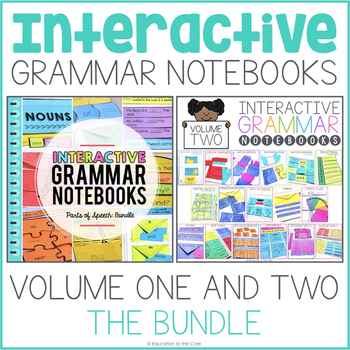 They absolutely love this because they are working on those skills for an extra two minutes every day and they are completely engaged in the process. Below is a picture of my kids practicing the nonsense word fluency. Read to Self/Read with PartnerI have combined this center because in first grade, too much unstructured time can be very wasteful. I send the kids to Read to Self/Read with Partner right after they are done working with me. I do this because they are still fresh on their skills and their minds are more focused on reading. I also have this group sitting very close to me so I can see and hear them reading, especially when it is time to partner read. I require my students to partner read the text they were reading with me, and when they finish, they can choose a book to read to self. 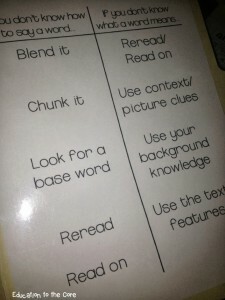 I give them a strategy card that is laminated on a file folder, and they are able to clarify using these strategies. Click the picture or the link to download this freebie from my store. Listen to Reading Because I do not have any of those ancient things kids listen to, I use the computers. The problem: I have only three computers and up to five kids sitting in the center. 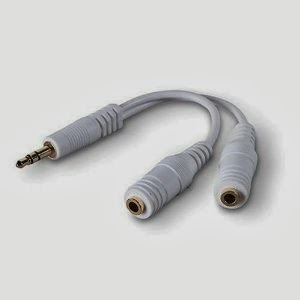 I went to Amazon and ordered three splitters for my headphones. The Belkin ones are very reasonable. This way, I can actually use the websites where they are listening to reading. I have the students take turns navigating the website and choosing the stories each day. Some of my favorite websites where there are free stories are Story Line Online, PBS Between the Lions, Good Night Stories, and Magic Keys. I don’t always like the writing options that comes with our stories, so I write a prompt in my journal, and I have my students write about the prompt in their journals. We call it the “Daily Page”. This is where we read the prompt, and write anything we can about the prompt. I do allow some think time, but most kids know they need to have some sort of quality writing before we switch rotations. I always read it under the document camera and ask if there are any questions before we start our rotations. Most of my kids know I will not re-read the prompt once we start, so they need to listen the first time. If they have any questions, they know to ask another student for help. I have different prompts for different groups. I usually have 2-3 each day, but the example below shows two prompts. 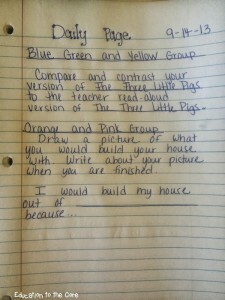 I do not make the kids write the prompt, they just have to write about what the prompt is telling them to do. I leave this under the document camera for the entire time we do the Daily 5. I love the book “All Sorts of Sorts” by Sharon Brown. These word sorts are excellent because there are a variety of words for each word family. 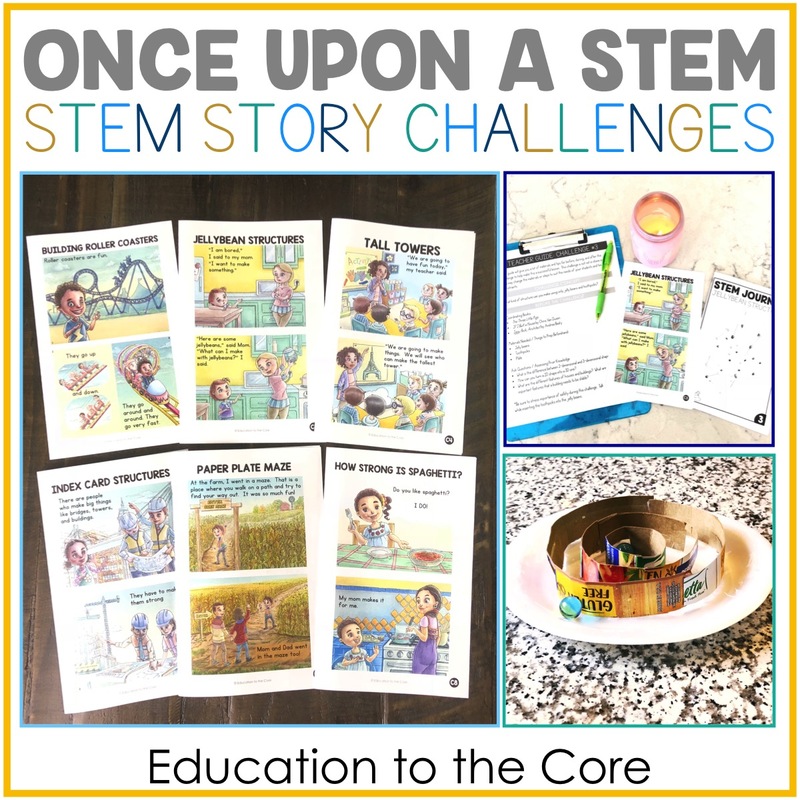 They also follow the same format throughout the book, so the kids are able to complete this independently! 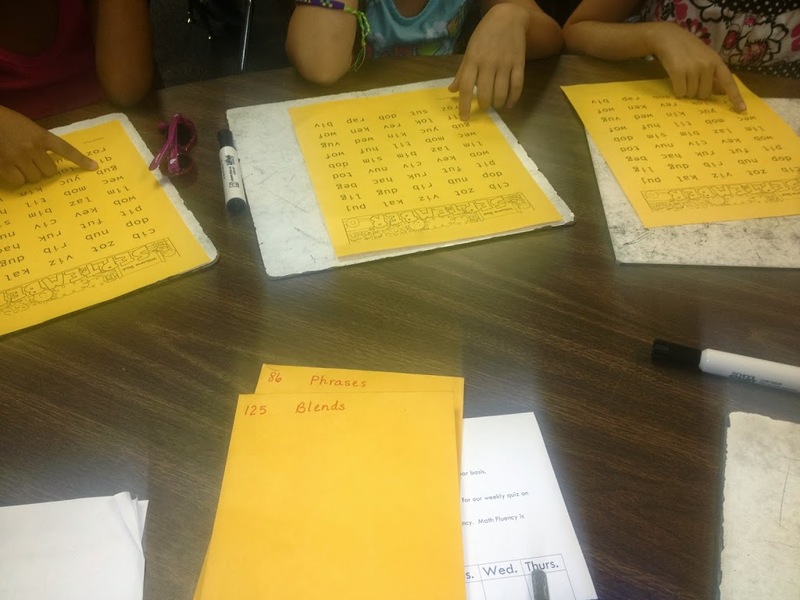 I look for the phonics sound we are working on and I spiral previous word families in addition to future word families so my students are exposed before I even introduce the new phonics rule/word family. 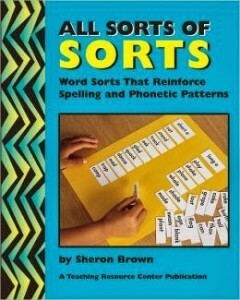 There are more books by Brown that have more advanced sorts as well. When I choose my word sorts for the week, I staple them together and pass them out on Monday. My students keep these in their Daily 5 Folder. That way, I am not having to waste time passing them out every day. They just rip the top paper off for the day we are working on, cut them out really quickly, and get to work. I have trained my kids to get these done in about 10 minutes. The Daily 5 has been so wonderful in my classroom! I love the consistency every day, and I feel ready and planned at the beginning of the week. This also allows me to be more intentional with each center. 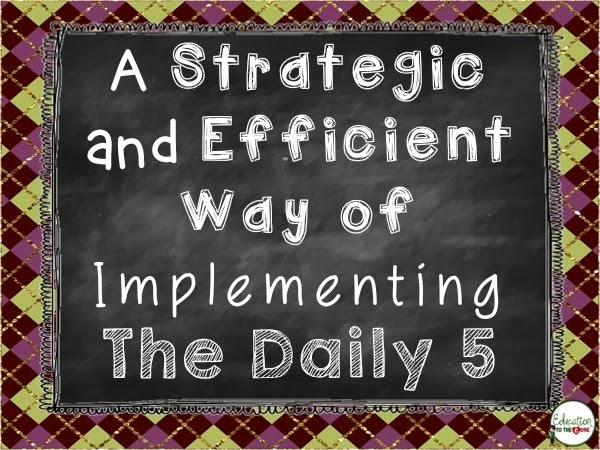 If you would like to know more about the Daily 5, visit the Daily Cafe! 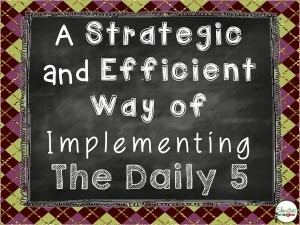 Disclaimer: The Daily 5 and CAFE resources are unofficial adaptations of the Daily 5 by Gail Boushey and Joan Moser. The freebies in my blog post are not endorsed by the 2 Sisters. http://www.thedailycafe.com. « Positive Behavior Desk Plate Freebie! 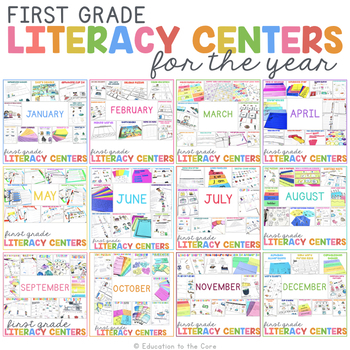 Thank you for this post, I’m new to first grade this year and the daily 5, and it’s going but not as well as I hoped, some days are great others are struggles. Thanks for sharing! Thank you for sharing your ideas. Right now I’m like a little sponge trying to soak up as many ideas as possible. 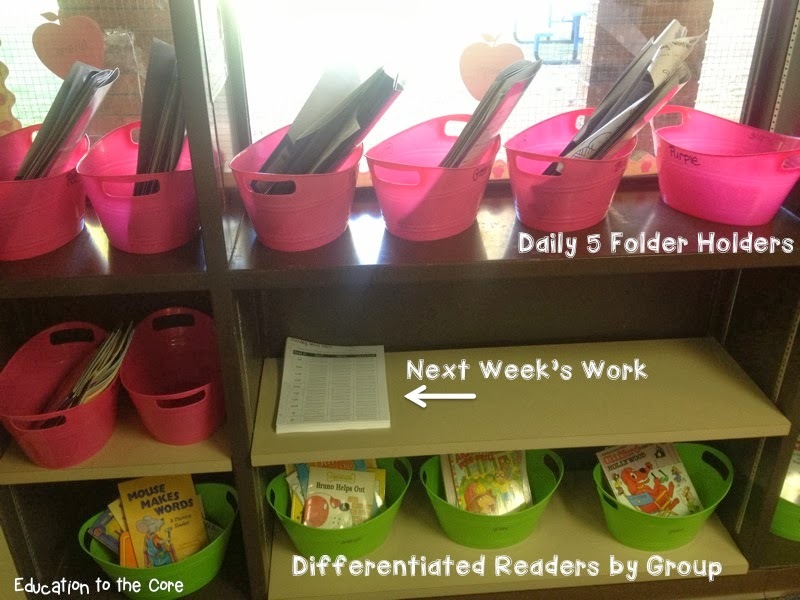 This is my first year trying to implement the Daily 5 in my Kindergarten classroom. 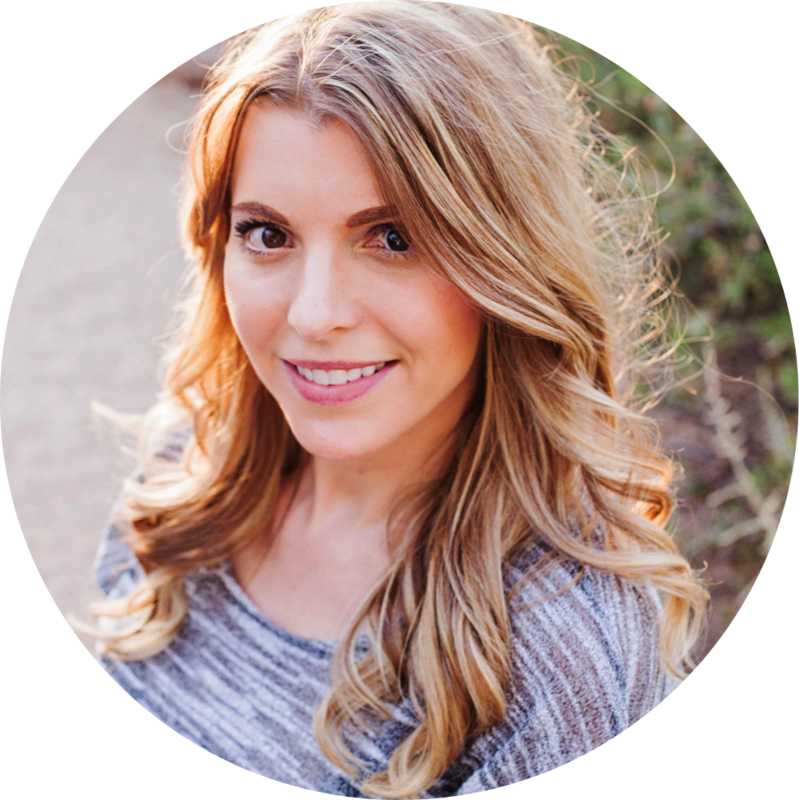 It’s been a bumpy ride but definitely one that will have positive effects on my readers! Keep sharing…it keeps me sane! There are so many wonderful things happening in your room. I love the idea of getting splitters. We only have 2 computers in our room. You have moved away from one central key component of Daily 5, which is choice. 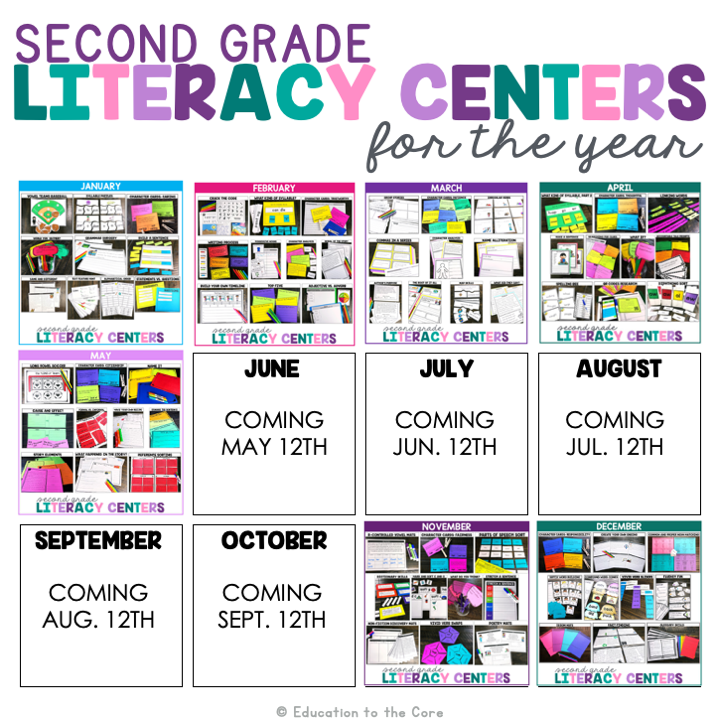 Since your students are not getting to choose which Daily 5 they are going to participate in, it is more of a teacher controlled/centers classroom. I have taught first grade for several years and would encourage you to introduce choice. I’ve found that once behaviors of independence are in place, the students can totally handle the responsibility, and engagement increases even more. Thanks for sharing.